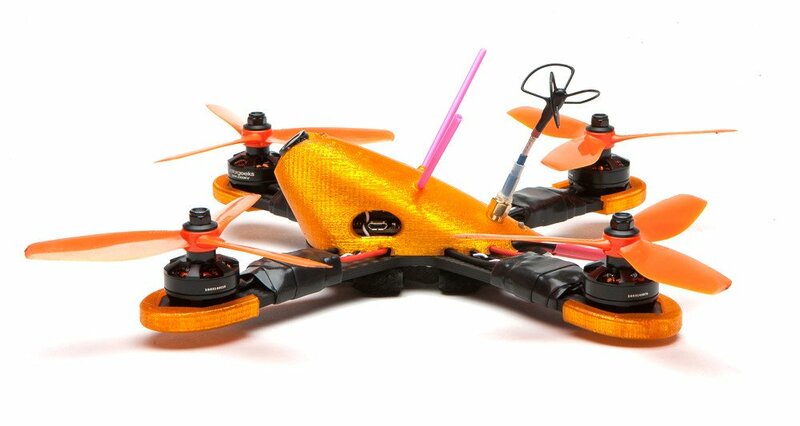 Mako is a pure X quad with an aero canopy that fully shields a 1300mah sized battery, available for 4" or 5" props. The canopy is 3d printed by Phoenix 3d Solutions with flexible and super strong TPU. 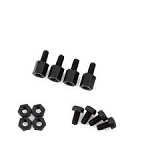 It's designed to house HS1177-sized fpv cams and is notched for 30, 40, 50, and 60 degrees of tilt. Push button 90 degree vtx's slot right in with the push button accessible for changing channels. 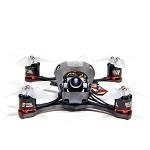 The 5" frame is 225mm. 101 grams, cut from 4mm carbon. 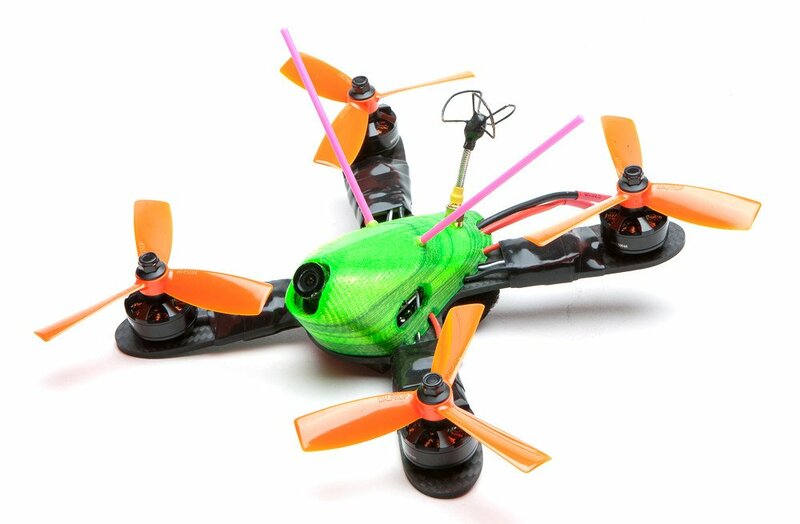 The 4" frame is 200mm, 85 grams, 3mm.